Dynamic rehabilitation is an approach developed and designed by our team of doctors and physical therapists at AHP to not only relieve your pain but KEEP you pain-free, moving and active lifelong. Forget what you think you know about "Chiropractic" or "Physical Therapy" - AHP is different! There are no "cookie-cutter" approaches to how we treat patients. We follow a protocol of steps that our team of professionals designed from the ground up. Using these steps, we not only guide you, our patient, through your own unique treatment and rehabilitation program, but the steps enable us to constantly assess your progress and make individualized adjustments as necessary to optimize your patient care and progress. When you come into our Norwalk CT office, our first objective is to help you reduce pain and start feeling better as soon as possible. Our team will conduct a thorough assessment and examination so that we can ensure a productive and successful treatment program tailor-made for you. Step 2: Get You Moving! During this step, our goal is to take your personal information, life and activities into account with your treatment, therapy and rehabilitation so that you can return to your normal life in less pain. While our techniques may vary patient to patient, the unifying goal is to get you back to your activities of daily living pain-free. Realizing that bodies come in all shapes and sizes, this is where we introduce you to more complex and specialized rehabilitation treatment and techniques. 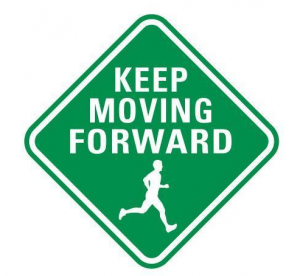 S tep 4: Keep You Moving! It is not just about getting you out of pain, but keeping you that way! Whether you choose one of our own yoga, acupuncture, massage or weight-loss exercise programs...whatever! 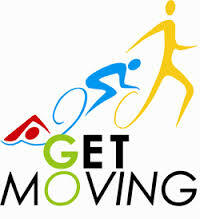 It is about keeping you moving! Your team at AHP will continue to work with you and encourage you to maintain your wellness and mobility! This is our motto, our mission, our purpose and passion in treating patients daily!